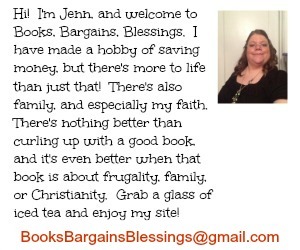 Books, Bargains, Blessings: Couponing Success Tonight! It amazes me how things change over the years, including my perspective. I haven't been to the drugstores for a while now because it seems like every time I go they are sold out of the sale items, and my time finding the coupons that match the sale items was a waste because they are all sold out. Well, we were nearly out of pop, and I saw CVS had Coke on sale for 4/$13 this week with $3 back for your next shopping trip. As my mother can only drink caffeine free Diet Coke, I expected the shopping trip would be pointless, it has always seemed that caffeine free pop is always sold out around here. Not tonight. I was able to buy 4 cartons of it. As I was walking up to the counter, I remembered there was a candy bar that was free after Extra Care Bucks. So I thought I'd get one. Not surprisingly, both boxes of qualifying candy bars were empty. Or was it? I checked more thoroughly. Would you believe the candy bar was small enough that one was pressed to the front of the box and no one saw it? So I got the candy bar after all as well as the four cartons of Diet Coke. Times have certainly changed when I consider finding a sale item in stock a victory!